Well, it has been quite some time since my last post. I have been a very busy momma with nursing school, homeschooling, and caring for Ana. She is doing well. Her heart seems to be the most recent issue, but the new medication seems to be helping! I hope to post a more detailed update in the near future, but for now I need to talk to you about something else. It has occurred to me that Mitochondrial Disease is not going to go away. We have to have help. We need people to help us raise awareness and to donate money towards research that will lead to a cure. Those affected desperately need your help! I am here pleading on behalf of my daughter and all those who suffer every day. Donate today. Any donations received on Ana's website between September 14th and October 16th will go to the United Mitochondrial Disease Foundation! 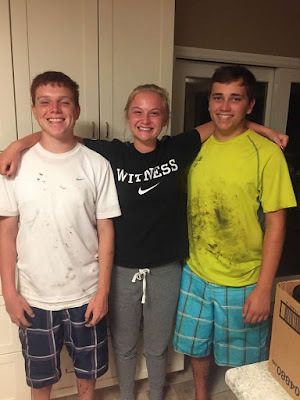 These kids need your help. 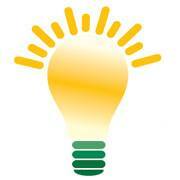 Also, the Technical College of the Lowcountry is doing a Light Bulb campaign for the UMDF! With a donation of a dollar or more, you can hang up a "light bulb," with your name on it, to show your support! If you are a student or on staff at TCL, then you can donate on campus at the Beaufort Bookstore or at the New River's Cashier's Office. Please donate today! Spread the word! Share Ana's website on Facebook. Tell your family and friends! What would you do if it was your child? Did you know that mitochondrial disfunction has been linked to over two hundred diseases? Diseases like autism, diabetes, Alzheimer's, Parkinson's, and many more. Finding a cure could help people suffering from these diseases, also! Click HERE to like, share, & join the cause on Facebook! And don't forget to change your profile picture to an "energy for life" light bulb! I can't bear this burden alone, I need your help! Copy & Paste as your profile picture! A few pictures since it has been over a year! after a late night of fishing! Metal at theSpecial Olympics World Games in LA!